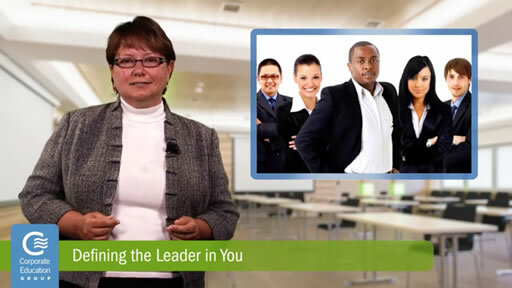 Hello, I’m Marilyn Bota and I’m a senior trainer and consultant with Corporate Education Group. A unique manager is someone who has developed a leadership style based on both professional and life experiences, as well as the expertise gained from education. However, it is difficult to learn how to become a strong leader when you’re just starting out. The most effective leaders understand their management style, but they’re also adept at flexing based on the behavior of others and the situation at hand. Managers who do this well are more successful and typically have employees who want to succeed for the sake of the team or for their boss. If you’re asking yourself, How do I discover my individual management style, when should I flex my style, and in those situations, how do I help my employees achieve better results?, the answers are simpler than you might think. Schedule a personality assessment: Looking in the mirror is the first step to becoming a better manager. Once you have identified the type of leader you are — for example, I’m data-driven so my management style tends to reflect that trait — you can focus on identifying the ways you prefer to share, receive and organize information, as well as your expectations for your employees. Adapt, or “flex”, your management style: If you think that flexing from your primary style is a sign of weakness that couldn’t be further from the truth. Effective managers don’t dictate their will on employees, they influence their direction. For example, as I mentioned earlier, I’m a data-driven person who likes to get to the point quickly, but when I’m managing someone who is focused on people and relationships, I consciously choose to flex my style to create a personal connection before getting to business. Create an environment that drives and promotes individual performance: Even though you are the manager, it’s your employees who own their job performance. Ensure that each individual understands that they are accountable for their own performance so guiding, coaching and developing is easier. Defining the leader in you doesn’t happen overnight. It is a process that takes time and effort on your part. But remember, once you have defined your leadership style and sharpened your skills, your true talent can shine.